Our community loves to receive actionable inspiration for a better technology life and a better world. One of our values at Prottoy Digital is that we are a community where everyone is welcome and no one is left behind. We envelop, with love and compassion, people of all countries, ethnicities, cultures, creeds, and beliefs. So when it comes to writing for us, a tone is everything. We are a space for you to have your unique voice, and to do so in a way that appreciates our mission, values, and manifesto. Please ensure your tone is inspiring, informative, open-hearted, inclusive and positive. Please help our readers to grow through whatever messages you share. We absolutely are not about sarcastic, dictatorial, or polarizing approaches that create division. We hope you agree that society is in need of the direct opposite of this old-paradigm and negative energy. 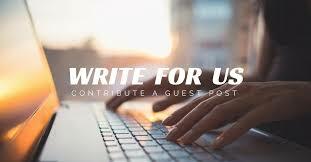 So as a guest writer we invite you to contribute and collaborate with us in bringing a different vibe to the world! Let’s embrace all people and be solutions focused. Submit Original Posts: Posts must be unique and original to us. Posts must not have been published or submitted elsewhere online or offline (including your personal blog) or be used in future for distribution on other sites (including your personal blog). One or more questions to prompt the reader to consider the topic in relation to their own situation and/or One or more actionable practical tips that the reader can easily start applying in their life. Please do your own quality checks on your article before submitting to ensure it is a high standard of written English (proof reading, spelling, and grammar). Thank you! Don’t send articles that have been, or will be, published elsewhere: We only accept original, unique content that has not previously been published. And if an article is accepted for publication to us, that article must not later be republished /reproduced anywhere else without the express written agreement with ours. Don’t send vague, surface level articles: Our mission is to provide high-quality content to the world that has real substance based on personal experience and/or professional expertise. We are not about content for content sake, nor about linking to create traffic. We’re on a heart-led mission to give people worthwhile content to reflect on and/or apply, to genuinely add value for a better life and a better world. Don’t send anything that isn’t aligned with our philosophy: Please don’t send articles or bio references that promote a business, service or product which is not authentically aligned with our mission and values. We may also share articles in an email to our community when we highlight most popular posts. We do read every submission that we receive. We appreciate the time and effort you put into your contributions to us. If your article has been accepted we will respond to you within 14 days of receiving your article. We will also then let you know as soon as your article has gone live on our site ready for sharing with your audience. If you have not heard back within 14 days, it means that on this occasion your article has not been accepted. The reasons for this may vary and may be due to not meeting aspect/s of our guest post guidelines above, or potentially if we already have other articles on the exact same topic already posted on the site. Submitting an article for consideration does not guarantee that it will be published. We assess articles based on fit with the above writing guidelines and also with regards to fit with our website brand, mission, and values. We do not pay for content contributed. You accept any form of editing our consider to be reasonable and necessary to maintain a high standard of quality with posts published on our Site. When an article is published on our site, it is then owned by us and you are not permitted to re-publish that content anywhere else, including on your own site, without prior approval from us.